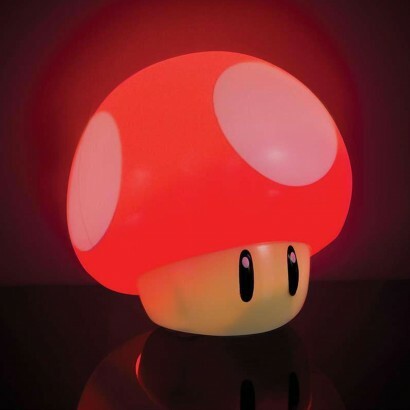 Level up your lighting game with this cute mushroom light from the iconic Super Mario Bros games! Small enough for bedside tables, this sweet mushroom character brings a retro gaming vibe to your space and shines with bright white LEDs for a soothing bedtime glow. 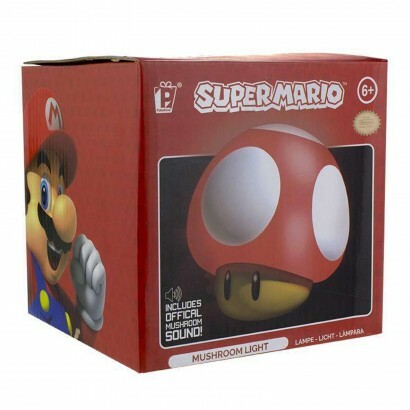 Simply press down on the top of the mushroom and it'll light up and play official "level up" sounds too!